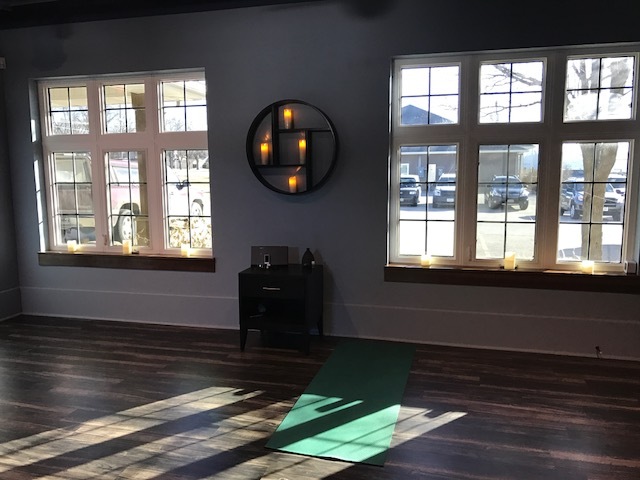 When you walk into Wellfinity Yoga Studio, you’ll walk into a sanctuary where you can be completely yourself. The studio is a place where you can leave the chaos of the world behind, relax, and rejuvenate your body, mind, and spirit. We want Wellfinity to be your haven for healing. It’s our mission to make yoga feel accessible to anyone who walks through the door. You don’t have to have prior experience, be flexible, look a certain way or have a certain style of yoga pant. We will work with you and offer options that meet your needs and help prevent injury. In addition to group classes, we specialize in private or semi-private yoga sessions for those who want a specially designed program. What makes Wellfinity classes stand out is that you feel like you’ve gotten a yoga class, mindfulness lesson, and life coaching session all in one. Yoga is for nourishing you as a whole person. We enjoy adding in personal touches, like an aromatherapy massage at the end of class or a warm cup of tea, that make people feel especially pampered and relaxed. Wellfinity is more than just a yoga studio, it is a wellness studio. For those who are ready to take their wellness to the next level we also offer reiki energy healing and wellness coaching services. Are you ready to step out of stress, tension, and fatigue to energy, clarity, confidence, and feeling comfortable in your body? To achieve your goals and live an extraordinary life? Then contact me using the form below to schedule your FREE consultation. Find out about our array of services and what may benefit you the most. It is said that “A journey of a 1000 miles must begin with a single step” – Lao Tzu. Take the first step. Make an investment in your wellness today and take advantage of my FREE initial consultation and newsletter.